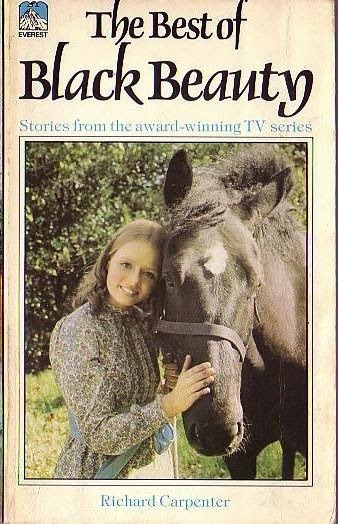 Following on from the Black Beauty theme is a book which takes up where the book leaves off: though it does turn Beauty into a Victorian version of Champion the Wonder Horse, full of amazing abilities. I didn't care when I watched the series. They could just have replayed the opening scenes with Beauty galloping up the hill a hundred times, and I'd still have watched. I can't actually remember much about the series now. What I do remember is that I wanted to be Judi Bowker. I was quite some way off. I've got over wanting to be Judi now, but Beauty - I still want him. 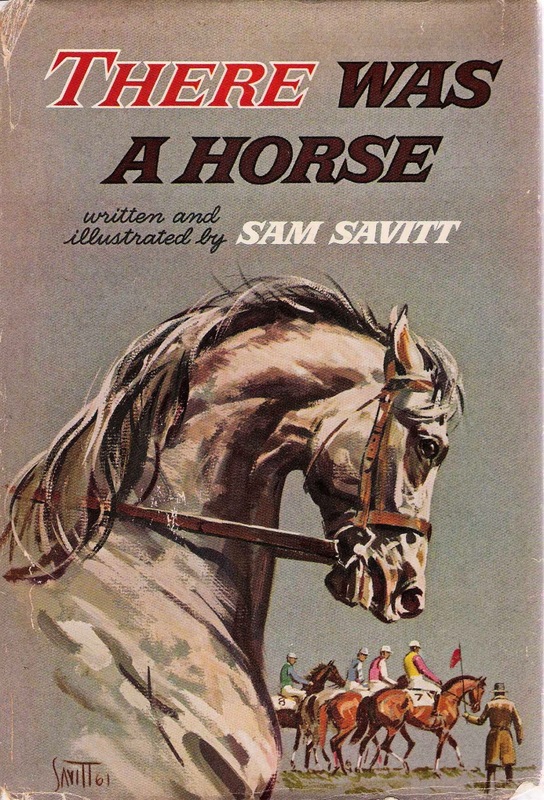 Today's pony book was written by an author who had four books under her belt by her mid teens: they were written between the ages of 12 and 15. 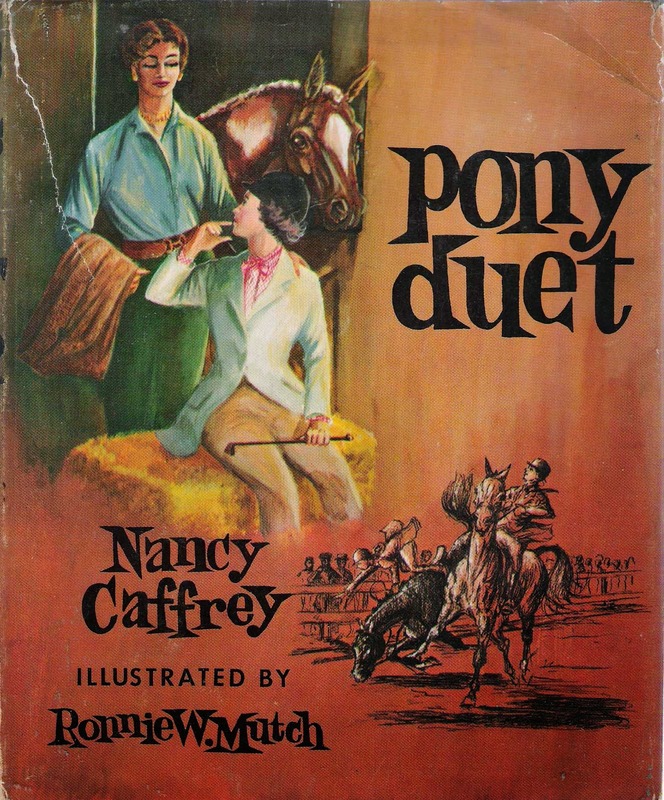 A Pony and His Partner, the first of them, was published in 1959. The books are much darker than the usual teenage pony book. Death and disaster stalk the books, but the heroines always win through in the end. For more on the author, see her page on my website. 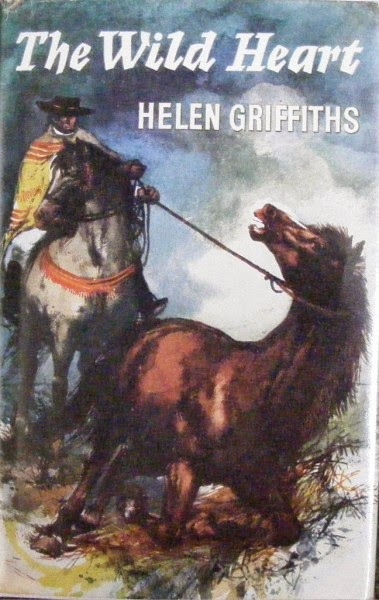 It's the Maryland Hunt Cup today, so to celebrate, here's the one book I know about which features it. If you know of more, please let me know. The Maryland Hunt Cup started in 1894, when the Elkridge Fox Hunting Club challenged the Green Spring Valley Hounds to a race over timber. The next year, the race was open to members of fox hunts in Maryland, and in 1903, members of Hunt Clubs throughout the USA and Canada were able to enter. The Cup has a permanent home at Worthington Valley, and is run over four miles, with 22 fences. There Was A Horse (1961) is the story of high school senior Mike Benson, who buys a grey horse called Viking. His brother, Chris, encourages him to train Viking, but it doesn't go well. Mike falls off, again and again and again, and he can't control Viking. However, a new farmhand solves the mystery of why the horse behaves as he does, and they train the horse to steeplechase with such success that he enters the Maryland Hunt Cup. Eleanor Helme, like so many pony book writers after her, believed firmly in the superiority of the countryside over the town. Her first two books (Jerry, the Story of an Exmoor Pony (1930) and The Joker and Jerry Again (1932)) were both co-written with Nance Paul. The hero of the book, Robin Marson, and his family are well off enough to buy the pony. The only thing that stops them riding is the fact they live in London. Robin's foal is kept by a local farmer until the family move down from London to Exmoor. Fortunately for the progress of the story, this move takes some years, by which time Jerry is old enough to be broken in and ridden about the moor. I'm plagiarising myself here: this is the text of a review I wrote a couple of years ago when Catnip reissued The Magic Pony. I don't think I can usefully say anything more than I said then. This is a fantastic book. # Patricia Leitch’s books are immensely satisfying; multi-layered: they succeed on so many levels. If you want to read The Magic Pony as a pony adventure in which a girl rescues a woman from dying somewhere she didn't want to; rescues a mistreated pony from appalling conditions, and sees her own horse recover from a mystery foot injury, it works perfectly on that level. As a pony story, it is extraordinarily good, but it has much to say on ageing, and on death, and on how we perceive those around us. Today's PBOTD is another which is appropriate for the time of year: it's H M Peel's Easter the Show Jumper. Easter is the third in the Leysham Stud series. Ann and Jim Henderson have a stud, whose stallion is her piebald stallion, Pilot. In the first two books, Ann's managed to get over Pilot's dreadful temper, and he's turned into a talented hunter (Pilot the Hunter, 1962) and chaser (Pilot the Chaser, 1964). The equine heroine of the third book is Easter, Pilot's sister. She has inherited his temperament (as indeed do several horses in the succeeding novels, which though it makes for good dramatic reads, does make you glad they're not breeding for temperament, because it's failing). Today's pony book has a thoroughly appropriate title: Easter Meeting. 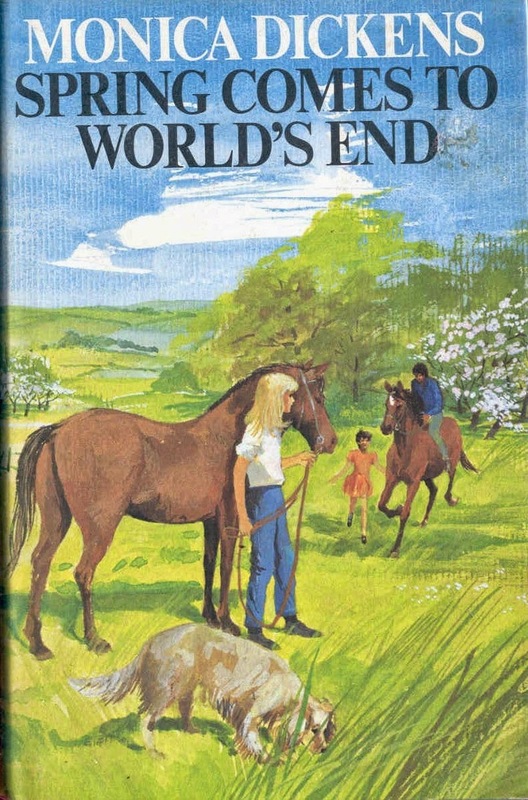 Author Elizabeth Waud wrote just one pony book, as far as I'm aware. Easter Meeting is the story of Geoffrey, Felicia, Simon and Loraine Knox. They spend their holidays with an aunt, who has a stud farm. Simon wants to look after his animals; Loraine to paint, but Felicia wants only to ride, and it looks as if this will be scuppered as a party of boys are also coming to stay. After initial disasters when they meet the boys, things calm down, and they all go to a point to point and co-operate in rescuing a horse stuck on the quicksands. Riding for Ransom is the third in the Marsham family series (and apologies for not including them thus far - Riding for Ransom makes it in because it's set in the Easter holidays). The Marshams are one of those large chaotic families quite common in pony books, but this family pride themselves on being dashing. This does cause them problems in the first two series, but they're worked out without too much effect on the realism of the plot. Riding for Ransom is different. The youngest son, Timothy, is kidnapped. This it turns out, is because he was mistaken for Simon, the son of the wealthy American family staying with the Marshams. You get two pony books for the price of one today: the Heronsway books, Pony Quest and Rescue Team were both published in 1989. That was as far as the series got. The author, Elizabeth Wynne, was a pseudonym used by the author Wendy Douthwaite. Under that name she'd already written several books for different publishers. 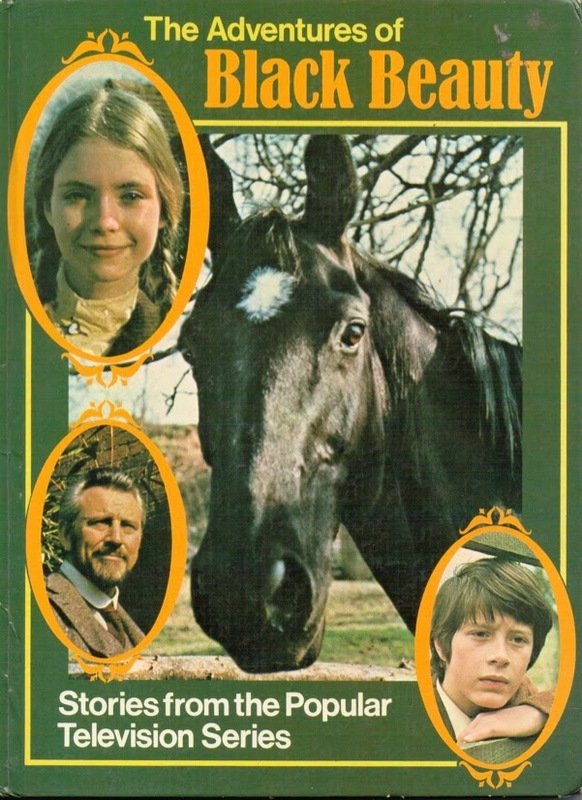 She also wrote at least one title for the Animal Ark series: Donkey Derby (1999). 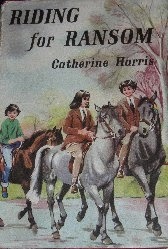 The Heronsway books were the only ones based around an equestrian centre. Josephine Pullein-Thompson had a passion for instruction. Her own acquaintance with the Pony Club, that usual vehicle of equine learning for the young, was brief. An early rally she and her sisters went to was held at Stonor Park, and centred on stable management. The lecture was held in a Victorian stable, and as the door was blocked by older children, the Pullein-Thompsons saw and heard nothing. In They Bought Her a Pony (1944), Joanna Cannan's heroine, Angela Peabody, moves out to the country. You'd expect, if Angela were a conventional pony book heroine, that she would not have a pony but would long for one and would acquire one, before going on to beat the local girls at the gymkhana, most of whom were rich and not, therefore, terribly good riders. However, in this book, it's Angela Peabody who's rich. Very rich indeed. Her family's money is however lately acquired and Angela is hopelessly over-indulged (it's interesting to see this model being used in Joanna's daughter Diana's later book Three Ponies and Shannan, where Christina though indulged is not spoiled). We do see a little of a better Angela: before they move, she buries her little model horses in the window box so they can't be thrown out.